California has set a goal of phasing out electricity produced by fossil fuels by 2045 under legislation signed Monday by Gov. Jerry Brown, who said the policy should serve as a model for other states and nations. The new law, along with an executive order Brown signed directing California to take as much carbon dioxide out of the air as it emits, represent the latest in a string of ambitious environmental initiatives as California seeks to fill a void left by President Donald Trump's decision to withdraw from the Paris climate accord and his efforts to boost the coal industry. "We want others to do likewise, and if enough people often enough do what is needed we will curb global warming," Brown said during an interview with The Associated Press. "But we're definitely at the beginning of what's going to be a long and difficult and contentious journey." The state is pushing to rapidly expand adoption of electric vehicles and has created a "cap and trade" program to put a price on carbon emissions, creating incentives to reduce them. It's working toward a goal to reduce greenhouse gas emissions by 40 percent over the next 12 years. The renewable energy measure would require California's utilities to generate 60 percent of their energy from wind, solar and other specific renewable sources by 2030. That's 10 percent higher than the current mandate. The goal would then be to use only carbon-free sources to generate electricity by 2045. It's merely a goal, with no mandate or penalty for falling short. California's renewable energy goal is not as ambitious as Hawaii, which has adopted a 100 percent renewable energy mandate. 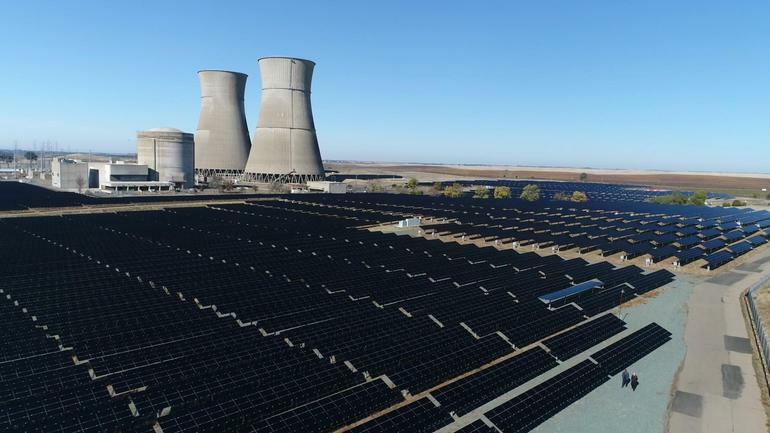 Utilities are already dealing with an abundance of solar energy during peak times, which must be offloaded to other states when there's not enough demand locally for the power. Brown advocates for a regional energy grid that would more easily allow Western states to share energy. An effort he pushed has died the past two years in the Legislature, with critics arguing California shouldn't be part of a grid with states that rely on coal. 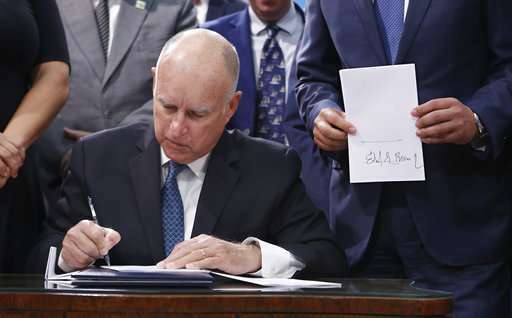 But Brown on Monday said moving toward a regional grid is essential to achieving California's new 100 percent clean energy goal without sending electric prices skyrocketing. 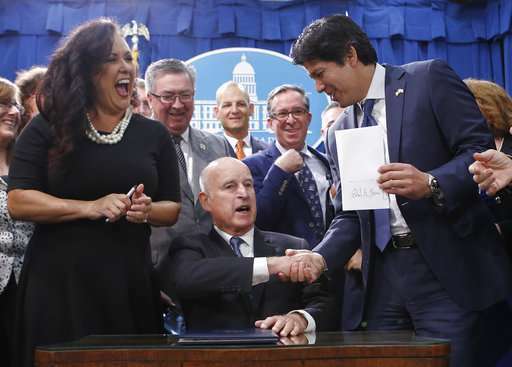 "Those who don't want it are going to be foisting very high prices on California, and I think there will be resistance to that," Brown said. "It may take one or two years, but we're going to get there. It makes too much sense." Brown has often faced criticism that he's too lenient with the oil industry, including from environmental groups pushing him to create a moratorium on new oil and gas wells in the state. 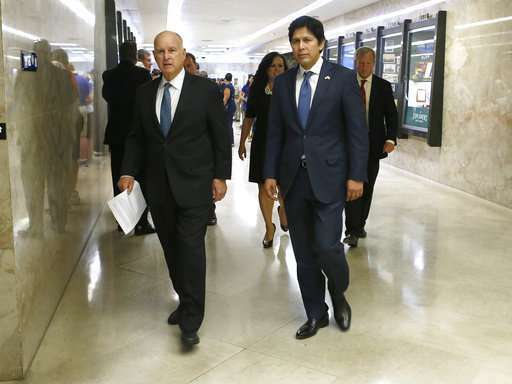 He rejected the criticism and said that California's approach to climate change relies on curbing emissions from a variety of sources, including oil. California ranked sixth among states in crude oil production in May, the latest data available from the U.S. Energy Information Administration. The state ranks 15th in natural gas production. California's production of crude oil has fallen steadily since the mid-1980s. 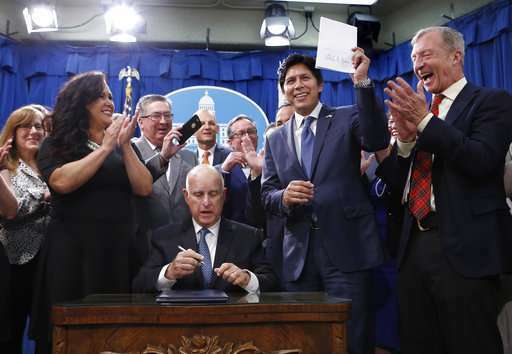 Business groups also opposed the measure amid concerns that it would raise the price of energy and, together with California's other environmental and labor protections, make it hard to compete with firms in other states. 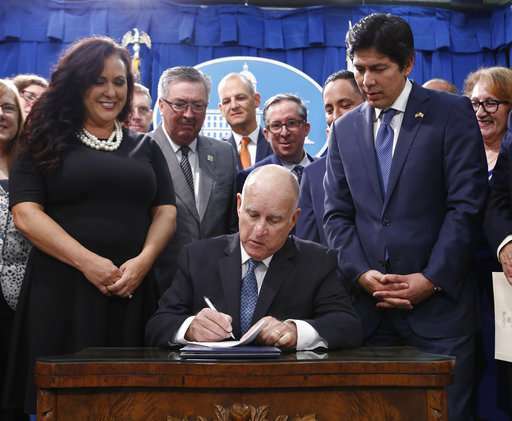 "If we're going to have these first-in-the-nation laws, we want to see first-in-the-nation benefits," said Rob Lapsley, president of the California Business Roundtable. "Today we're setting a marker that will be remembered by future generations," de Leon said. The companion executive order Brown signed directs the state to achieve "carbon neutrality" no later than 2045. After that, he says the state should emit net negative greenhouse gas emissions. The order directs several state agencies to set targets for artificially removing carbon dioxide from the air through a process known as "sequestration." 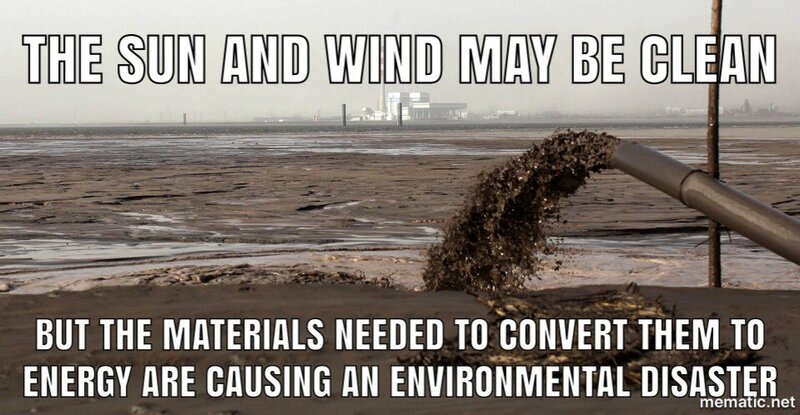 "Those that believe solar and wind energy are clean, should tour the mining / manufacturing / transportation / installation operations." I have a bridge in NY, also the Eiffel tower, to sell you.